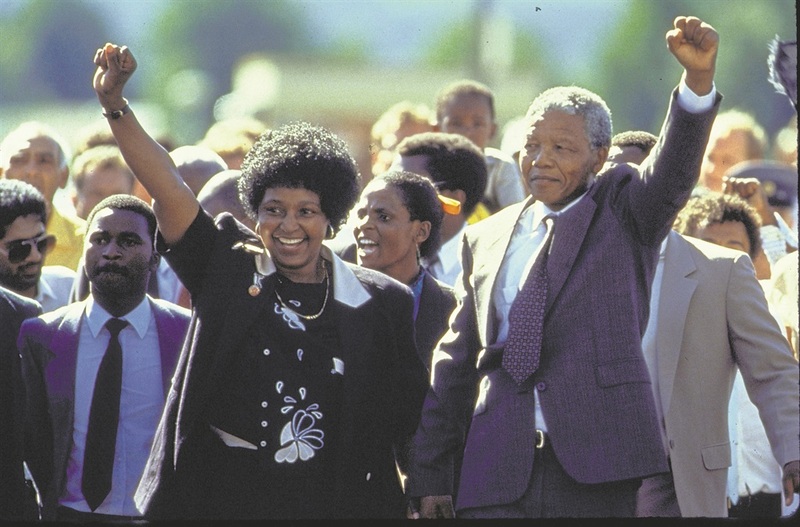 Nostalgia for the ANC of Albert Luthuli, Oliver Tambo, Nelson Mandela and Albertina Sisulu should not blind us to the abuse of human rights that is being committed in their name, writes Mamphela Ramphele. A recent opinion piece in the New York Times by Sam Byers, a British author, focuses on how "Britain is Drowning Itself in Nostalgia" as it muddles through a Brexit process that is inelegant to say the least. Sam Byers may well have been speaking to us South Africans. As we prepare for the May 8 elections we are being constantly reminded to be grateful for the glorious movement that has brought us freedom and great deeds under its government over the last 25 years. READ: Mondli Makhanya - How will South Africans' (un)happiness affect the elections? Byers says: "…. in our determination to rekindle the embers of our cooling significance, we seem perfectly happy to burn the future of our young for fuel." ANC leaders' response to the exposure of the horrors of the betrayal of the promises of our freedom at the various commissions of inquiry should be contrition and apologies to us the people. As one load shedding follows another, we are not only burning the future of our young by burning polluting fossil fuel in those malfunctioning power plants, but the future of our children and grandchildren. To add insult to injury we seem determined to throw good scarce money after bad money consumed by the looters of Eskom. We should be grateful to have the unreliable electricity we have from an Eskom that acknowledges that its pollution of the environment annually kills no less than 300 people, in a country with abundant sun and wind to be self-sufficient in renewable energy. We should be grateful for the coal mining industry that creates jobs in Mpumalanga that should have continued its ancient role of being a bread basket of our country and region thanks to the carbon that nature intended to fertilise our crops not burn for fuel. If a Martian were to land today and listen to the discourses of our political parties as they campaign around the country, she would be shocked by our complacency in the face of the shocking state of our nation. We have lost the central core of Ubuntu that inspired several generations of leaders over the more than 100 years of struggle to free ourselves from a system that was designed to dehumanise the majority population of this country to justify economic exploitation. We have become like George Orwell's Animal Farm. Most good people both inside and outside of government have decided to remain silent, or whisper so softly that even the ears nearest to them cannot hear them. Fear has once more, in Steve Biko's words, "become the determinant of South African politics". This was made clear as one professional after another confessed to the Zondo commission that they knowingly did wrong things because they were afraid. Nor could these professionals share their concerns with colleagues because of fear of retribution that has silenced dissent. In Animal Farm fashion, our leaders are saying to communities who have been robbed of dignity and hope that they should be grateful to the post-apartheid government. Never mind that the RDP house you are living in has no door and that the sewerage pipe is not connected to any system. Never mind that when you flush the toilet human waste flows into the house. We should not mind that unemployment is concentrated on youth, with more than 63% of them unemployed regardless of education status. We are told not to mind that we are stealing the hopes and future of young people by the millions. Nostalgia for the ANC of Chief Albert Luthuli, Oliver Tambo, Nelson Mandela, Albertina Sisulu and many other heroes should not blind us to the abuse of human rights that is being committed in their name by some of those who are and/or have been in government. 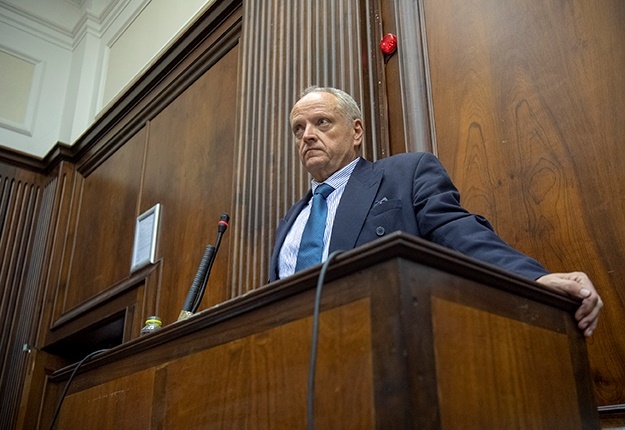 We, the people have to pay attention to the details of the betrayal of freedom laid bare in the commissions of inquiry established by President Ramaphosa. We cannot ever claim anymore that we did not know. The South African Council of Churches' National Convention of South Africa launched a Civil Society Manifesto at the offices of the Nelson Mandel Foundation on the March 19 to help guide citizens as they prepare to cast their votes in the national elections. We, the people should ask those who ask for our vote tough questions about how they intend to help us return to the core values of Ubuntu in everything we do. We need to ask political parties how they are to contribute to the healing of our nation at all levels of society so we can regain the values of human dignity, equality, respect for others and for nature and the promotion of prosperity for all. Political leaders need to explain to us how they are to translate our country's commitments to the Intergovernmental Panel on Climate Change (IPCC) agreement to take steps to contribute to reducing our carbon footprint and to promote sustainability of our environment and biosphere. We need to ask political parties to explain how they are to contribute to a comprehensive high-quality education system that enhances the human potential of all from the cradle to career and beyond, including preparation for informed and active citizenship. Our education must be a continuous journey of growth from birth to workplaces to enable mastery of self, critical thinking, creativity, communication, civic literacy, cross-cultural skills and global awareness. We need to demand economic transformation that deliberately and systematically enhances human dignity and quality of life. We should ask all parties to explain how they would transform our economic system to not only preserve the sustainability of our environment, but also to enable the participation of poor disempowered people in productive livelihoods. As citizens of this beloved country we need to re-iterate the spirit of Nelson Mandela's inauguration speech at the birth of our democracy in 1994 by committing that: We must ensure that never again shall the country surrender public values to the whims of politicians – regardless of party or leadership thereof. - Mamphela Ramphele is co-founder of ReimagineSA.